Second, about 75 percent of children and adults who got influenza didn’t show any symptoms, and those who did have symptoms self managed without needing medical attention. Plus, hospitalizations and death rates for confirmed influenza infections were very low in the flu pandemic. Rhinoviruses cause the common cold and other upper and lower respiratory infections that give you a fever, headache, body aches and a terrible cough that hangs on for weeks. So correlation does not always equal causation, but sometimes it really does. Now let’s take a closer look at flu vaccine effectiveness and influenza related hospitalizations and deaths in the U.S. FACT: Influenza-like-illness (ILI) symptoms, such as fever, sore throat, congestion, cough, body aches and fatigue that are severe enough to prompt a trip to the doctor, rarely turn out to be actual type A or B influenza infection. In the past two years, when the CDC tested specimens of influenza-like-illness cases, only between 3 percent and 18 percent were positive for type A or B influenza. 23 24 Most of the respiratory illness cases making people sick enough to seek medical care were caused by other viruses or bacteria. For adults over age 65 years, vaccine effectiveness was close to ZERO. There was “unexpectedly low vaccine effectiveness for the influenza A strain among older children compared to other age groups,” especially for those who had gotten previous annual flu shots. S. health officials also found that unvaccinated people were more likely to report their general health status as “excellent” compared to vaccinated people. In January 2016, U.S. government officials finally publicly admitted that flu vaccines are only 50 to 60 percent effective at preventing lab confirmed influenza requiring medical care in most years. 27 In fact, a CDC analysis of flu vaccine effectiveness for the past decade – from 2005 to 2015 - demonstrated that more than half the time, seasonal flu shots are less than 50 percent effective! If doctors have been using an inaccurate blood test to measure immunity and vaccine efficacy for 70 years, what does that say about the accuracy of 70 years of vaccine studies? 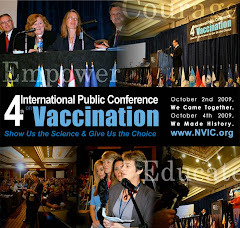 Go to NVIC.org and learn more. 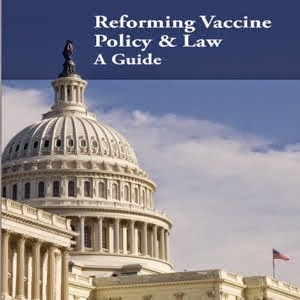 Sign up for the free NVIC Advocacy Portal and become active in your state to protect vaccine exemptions from being eliminated by the Pharma, Medical Trade and Public Health industries.